There are a lot of recreations of old style guitars for the modern player. Rehashes and imitations that attempt to capture what the original was about. Whether it is the same body shape, colour pallette or another aspect mimicked by the new, the old remains uncapturable most of the time. Until, at some point, a manufacturer gets brave enough to try everything that was old and brings it back. The Fender Modern Player Tele Plus is a guitar that remembers the past and brings it to the future in fullness. Let’s take a closer look and see what this means. The body of the guitar is designed in the traditional Telecaster shape. Telecaster has always been a popular body design, first introduced a very, very long time ago. It is a shape well known for its beauty, comfortable play and easy access to the high tone frets. The Fender Modern Player Tele Plus does a great job of building on this design, with the rustic looking brown design being one of my absolute favorites in the roster. The true vintage on the other hand is brought into the modern world by the materials used to construct this guitar. The very first telecasters were made of Pine and this Modern Player Tele Plus re introduces the tonewood to us. You don’t see pine too much nowadays, as it has fallen out of use over the past years. The tonewood is a very interesting material. The effect it has on the sound is very reminiscent of alder. Being almost transparent in character, it allows the tones of the strings to flow through uninterrupted and unaffected. The hardwood is also known as being rather lightweight and soft, which means it is very comfortable to hold yet prone to being damaged. You could say the wood is comparable to basswood in this sense, without the tonal implications. The neck of the guitar, with the need for sturdiness being imperative, is constructed entirely out of maple. This allows the guitar to stay together for a long time, giving it the much needed resistance against impact, scratching and wear. The neck is also bolt on, which is not my favorite way of adjusting the neck, and yet is fine in the case of this well made guitar. The fretboard of the guitar is made out of maple as well. Not a traditional pick, yet one that works surprisingly well. The bridge of the guitar is made in the vintage style. 6 saddles with a string through the body design, the bridge has a very decent raise for great action. The string through body design allows the guitar to be very easy to restring. Overall a great choice for a vintage guitar. The nut of the guitar is made with synthetic bone. This material is a good choice for affordable guitars, as it has a nice balance of being cheap and providing a great defense against string buzz, as well as a good harmony. The tuning machine on the guitar is designed in the vintage style. The guitar has very decent tuning stability, which is always appreciated, especially for guitars that are so much fun to play. The tuning will hold for a while after you first tune it. The electronics on this guitar are nothing to write home about, but neither are they disappointing. You have an interesting setup with a Humbucker – Single Coil – Single Coil configuration. You have a Modern Player Strat, Modern Player Tele and a Modern Player Humbucker. 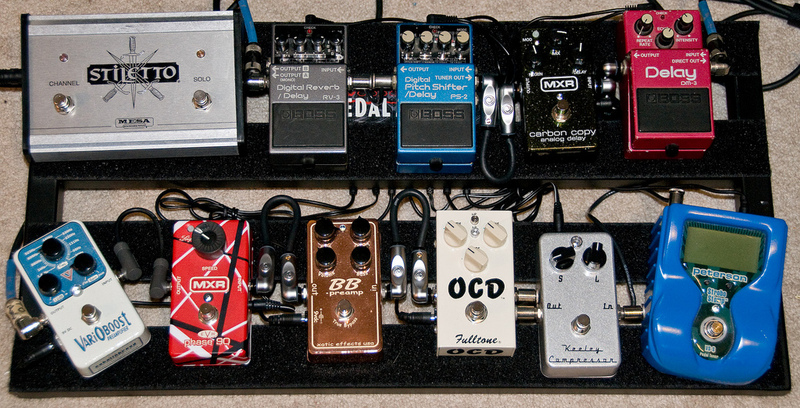 This combination results in a great versatility of sound. The humbucker is rather powerful and has a tendency to overpower the single coils during play, so getting creative with pickups combinations is important .The single coils are rather decent, but the Tele tends to be a little on the weak side. The controls on the guitar are not much more than you would expect. You have two knobs, one for volume and the other for tone. A threeway level switch for pickup configurations and a small lever for splitting the coils. All of the above details culminate in a guitar with a very interesting sound. The versatility of the pickups combination allows the musician to venture into any genre he or she deems interesting. The Humbucker gives the player the ability to play as heavy as he wants, with the coils providing the twangy, warm sound for the more country or jazzy feel. Definitely an enjoyable sound that professionals and beginners alike can find a use for. I like this guitar a lot. It combines the qualities of a vintage guitar with modern pickups, that result a very interesting sound. The quality of the manufacturing is high, while the tonewood for the body provides an interesting effect on the sound. With the affordability of the guitar, you get an interesting instrument that might just be worth checking out. 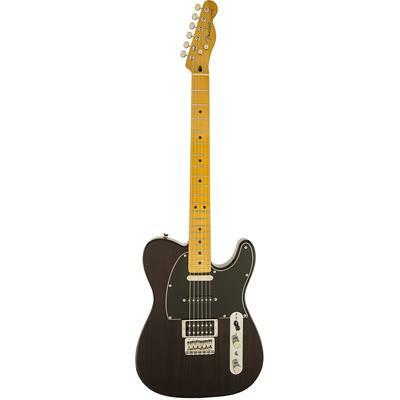 Click here to find out more about Fender Modern Player Tele Plus. Click here to view more from Best Electric Guitar Under 500.